I’ve been eavesdropping on Olympic coverage this week. Most of you know about my torn ACLs. That’s why I practice yoga. And, many of you know I tore my right ACL while fencing in high school. 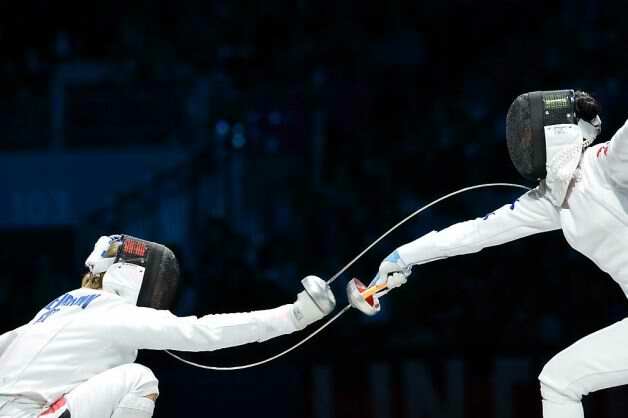 I’m a left-handed fencer; which immediately puts thought of future Olympics in coach’s heads. Most people are right handed, so we’re hard to beat. Put out your left the next time you shake hands…that reaction is why lefties tend to win. Coaches also love having us spar with any right handed superstars. Keeping them on their toes and ready for anything! Fencing is my sport of choice in the Olympics. Track, swimming, blah, blah, blah…not interested. 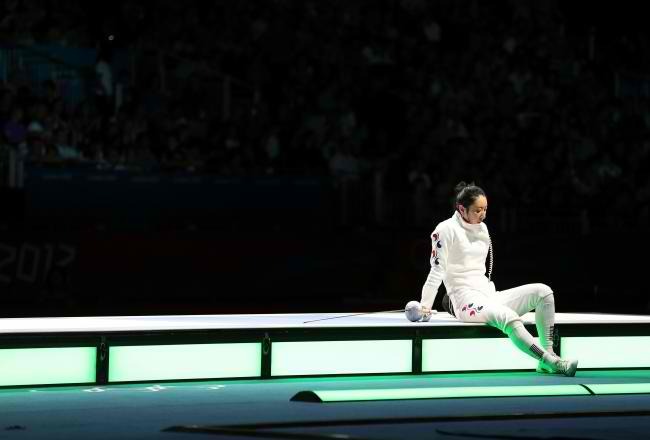 When Shin A Lam lost the gold medal this week because of a clock error and stupid (yes, stupid) decision on appeal, I cried. A few WTFs went flying too. Because of the rules, she had to sit on piste, all alone, during the appeal. 30 minutes. We all watch her emotions ebb and flow. I couldn’t help but think about personal disappointment (my ACL!! ), heartbreak and aloneness. 30 minutes! So often, things happen and we retreat to that safe zone in our own heads. We isolate ourselves mentally or, even, physically. The great thing about this shot, from Getty Images, is that you can almost see the thousands of people directly behind her in the stands. She’s not alone. I was right there with her and so were millions of others around the world. We all supported her. This entry was posted in random awesomeness and tagged compassion, off the mat, Olympics, resilience, yoga. Bookmark the permalink. This is beautiful Nadine! Thank you for all of your posts, but for me, this one has been the most timely and relates to my own feelings. Thanks so much, and I hope you are doing well! Thanks Kelly. Congratulations to you! One of five US delegates to Slow Food International in Italy. That’s amazing! !